Every youngster has dream to be successful in their professional career with grooming themselves both in professional and personal way. There are two main reasons why people generally move abroad. The first is connected to family reasons and improving lifestyle, or for other personal reasons. The second is to take on a new challenge, gain new experiences or progress up the career ladder. 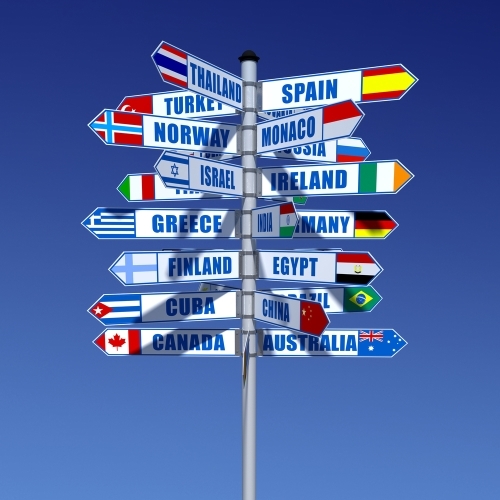 International travel is generally described as ‘eye-opening’ and a way of broadening once mind and while this is certainly the case, it is less often talked about as being good for your career prospects. Well, the latest research from Harvard Business Review on the young professionals, who have international working experience or identify with more than one nationality are often stated that, they are better problem solvers and display more creativity. A Young, director, Karen at Hays Senior Finance, says that, working in overseas is the advantage for the aspiring finance professionals. Their research resulted that 37% of finance directors have worked outside the UK during their career and 93% has benefited with building their career by working with the overseas employer. He also shared that a period of spending their working experience with an overseas employer’s has made them to stand out from the competition. He suggested to the trainees to seize it and if the chance arises. By working with many organisations operating across borders, which explore you to have a global outlook and interest in international business make to increase once employability with multinational employers. It is not just about learning different international reporting practices. Working in various nationalities or in abroad is equally beneficial in terms of broadening your horizons and helping you to understand the different cultures and approaches to business. It also also makes you to analyze your potential with your employer that you are confident, motivated. It’s an good platform to excel once knowledge as well able to adapt to change and face the new challenges in building their career.